In 1965, Jeanne Smith graduated from the Beebe School of Nursing. About 10 years later she returned to Beebe as a staff nurse, splitting her time between the hospital and a private doctor’s office. In 1985, she was appointed the first nurse manager of the newly created employee health department. At the time, Beebe had 300 employees. Today, the healthcare system employs more than 2,000 people. Jeanne developed the employee health program to what it is today. After 30 years, Jeanne will retire on Tuesday, September 2. She will continue to work some casual hours and fill in for other employee health team members when they are on vacations. Jeanne said in her position she has met people from all walks of life – people with outside interests from music to home repair. Speaking of home repair, Jeanne expects to spend much of her retirement continuing to restore the older home she and her husband have been restoring for 30 years. “My husband says I am going to repaint every room because that is what I like to do,” Jeanne said with her signature smile and a chuckle. The couple also plans to travel and visit their five children and grandchildren. In addition, Jeanne will be cheering her husband on as he attempts to complete 50 marathons in 50 states. She is also looking forward to spending time in Santa Fe, New Mexico, which she calls her home away from home. Jeanne said her memories stem back to before computers. She recalls completing paperwork on a typewriter before one of the executives put an old Apple computer on her desk. Then employees only received one TB test – at time of hire – but today team members get the test annually. Jeanne’s commitment to health is apparent in her compassion and caring for all Beebe team members. Teresa (Terri) Schuster, RN, MSN, will be taking over the role of Employee Health Manager. 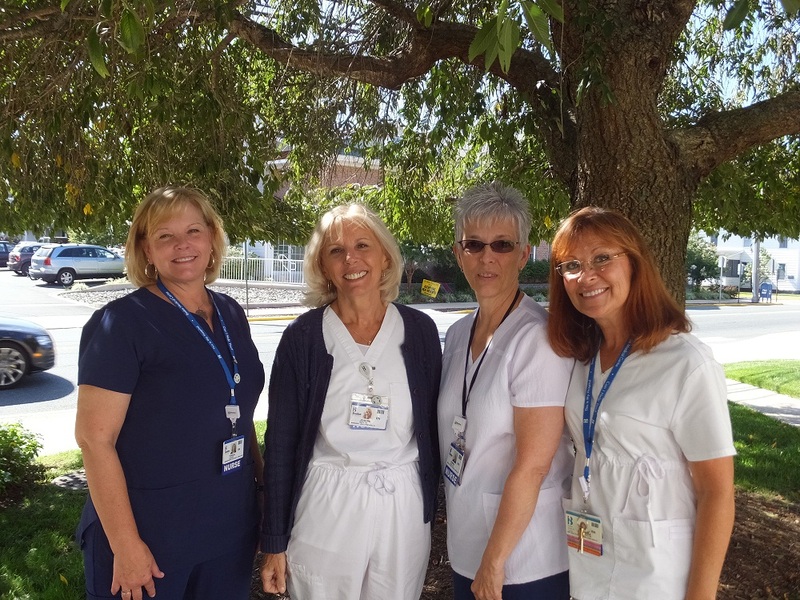 Barbara Portz, RN, Donna Egolf, LPN, and four casual nurses will continue in the department as well. Shown are Terri Schuster, RN, MSN; Jeanne Smith, RN; Donna Egolf, LPN; and Barbara Portz, RN of the Beebe Employee Health team.